I’ve been in denial all this time. Everyone, from strangers at the store to my own counselor, asks me if there’s going to be an NBA season. I’ve tried to stay detached from the ongoing labor strife. I’ve tried to tell myself that I’m busy enough, so missed Blazers games aren’t the worst thing in the world. “Breaking Bad” and two shelves of unread books are enough to keep me entertained, I tell myself. 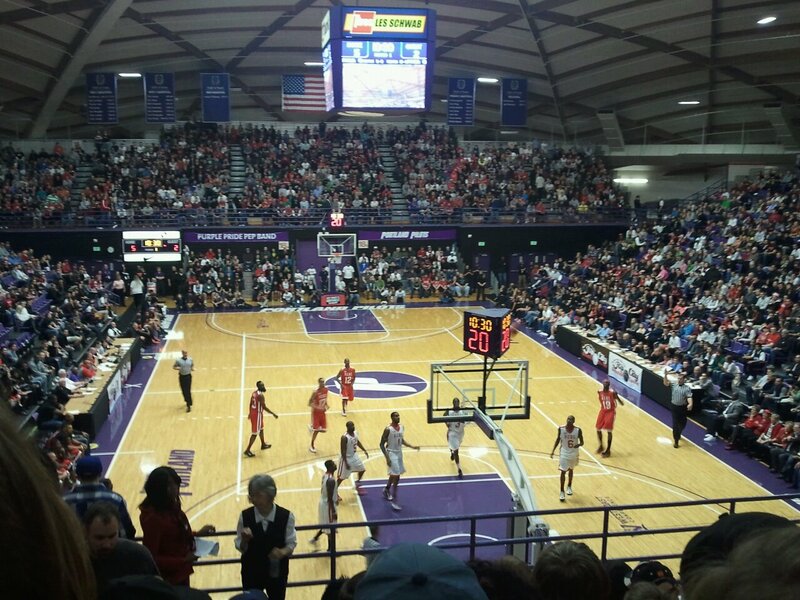 But all that steely resolve came crumbling down tonight as LaMarcus Aldridge hosted an exhibition game at the University of Portland. He, along with a dozen or so NBA and college players, took the court for 48 minutes of alley-oops, crazy passes and no small number of blatant-but-uncalled travels. And I realized, way up in section 8U, how much I missed this game and the Blazers. It was an incredibly entertaining game. It bore almost no resemblance to a real Blazers game, but it was basketball, dammit! Sadly, it might be the only basketball I see for some time. It was 48 minutes of fun. It wasn’t enough. To know me is to know that I’m a passionate fan. I attended my first game in kindergarten with my father. We sat on wooden benches in the very last row of the Memorial Coliseum. I don’t remember who won the game, but I was hooked. I told everyone in school the next day that I’d actually gone to a game. I was mesmerized by Clyde Drexler treating gravity as more of a suggestion than law. I was entranced by the team’s fast-paced, pass-first game. All that was 24 years ago. I’ve yet to grow out of it. Instead, I went the other way and dove into full-on obsession. I went in on season tickets with a friend. I skipped work to welcome Greg Oden to Portland at Pioneer Courthouse Square. I went to Portland International Airport to welcome Spanish star Rudy Fernandez ahead of his first season with the team. I showed up to work the morning after intense games without a voice. I “joked” about jumping off the I-5 Bridge after one of Oden’s first season-ending injuries. I still own VHS tapes of Martell Webster’s 24-point quarter against the Utah Jazz and the team’s 1977 championship run — and I don’t even own a working VCR. Would you be surprised to know that I was wearing a Wesley Matthews shirt when I put my hand in that lawn mower? Do you really need any more proof of my obsession? Have I established my credentials yet? I’ve never given much thought to why I’m so obsessed. I’ve only ever thought about it after tough losses in the context of “Why do I care so much?” It makes no logical sense to support a player because of the name on the front of his jersey. It doesn’t even make much sense to root for a team simply because I can almost see their arena from my apartment. It doesn’t make sense to root for a team that bears no resemblance to the team I first latched onto as a five-year-old. The players, jerseys and even home arena are all different; only the name remains. The past few years have been especially rough on Portland fans. There have been multiple season-ending injuries to Greg Oden. Brandon Roy’s best days are behind him. The front office resembles less a tight-knit team than a three-ring circus. I even wrote a currently-unpublished 1,200-word essay earlier this summer about how I was losing faith in the Blazers to do the right thing. I distinctly remember using the phrase “crisis of faith” to describe my feelings. I’ll never forget my one season as an usher at the Blazers’ home arena, the Rose Garden. The most memorable game I worked was when I saw Greg Oden collapse to the ground with a season-ending injury after jumping and not colliding with anyone in the process. (Think about that: You could jump up and down 100 times and never suffer worse than a sprained ankle. Greg Oden’s knee blew up in mid-air.) I told anyone who would listen that it wasn’t as bad as it looked. Of course, it was. It always was. What does it tell you that my most memorable game involved seeing Greg Oden go down with an injury? Yet I remain a fan and try to put on a happy face through it all. Because being a fan is about being optimistic at heart. Fans have to believe that the best is yet to come. Why else follow a team, at that point? Fans have to believe that, with the right players and a little luck, their team might be on top one day. It’s all about hope, and I have hope to spare. And it’s not like fandom hasn’t been without its rewards. I’ve seen Brandon Roy carry the Blazers to a number of improbable victories. I’ve seen the Blazers take down the NBA’s top teams. I’ve joined dozens of fans on the concourse, chanting on the way out of the building after a big win, banging on the walls and staircases, giving high fives to anyone with an outstretched arm. I’ve joined the symphony of fans honking their horns in traffic after exciting wins. I’ve gone to games with friends and family. I’ve watched games at home with pretty much everyone who’s ever been truly close to me. I’ve diagrammed the Blazers’ defensive schemes using salt-and-pepper shakers with friends. The common theme: As personal as being a Blazers fan is for me, it’s also a shared experience. There are few more reliable icebreakers in the Portland/Vancouver area than “How ’bout those Blazers?” I have dozens of memories with close friends that are inextricably linked to the Blazers. I’ll never forget reveling in a Blazers victory over the Lakers with friends at McMenamins. I’ll never forget attending games with them. I’ll never forget making salad for dinner and catching games at home with my best friend. I’ll never forget calling friends after wins and going over the game’s story lines and highlights. I could write about dozens of memories, good and bad, in which I’ve bonded with friends over the Blazers. That is what I miss right now. The good times, sure. But the connections that the Blazers make possible. Whether in sorrow or giddiness, the Blazers have been responsible for extremely memorable moments with friends and family. It’s November 6 as I type this. I should have gone to opening night by now. I should be talking about how Raymond Felton is fitting in with these Blazers and how Gerald Wallace looks now that he’s had a whole training camp to get acclimated. I should be planning my nights around catching road games on TV. I would love to talk about Aldridge’s improvement with coworkers and last night’s game with friends. I don’t care that the Blazers would have let me down again this season. I would give anything just to be able to hope again. I don’t care if that hope is what ends up giving life to the pain of the inevitable let-down. I just want to believe. The game itself was fun, and that was the problem. Wesley Matthews flashed the Three Goggles throughout the game. Felton connected with Aldridge on some vicious alley-oops. No one played a lick of defense (save for Matthews and Durant, who seemed to get testy with each other as the game went on), so it was a fun night full of memorable players and plays. And all it did was bring back a flood of memories of what was, and remind us that the new memories will have to wait. I tried to tell myself that I didn’t care. But I do.